I had a WMV video and I would like play it on VLC media player, but there were black bars on the screen. Are there any free video cropper that can help me remove the black bars from the sides so that it can fit the screen properly? I searched for many free video editors and tried to use them to crop my video. Unfortunately, although some of them were free, but their website address or logo were added onto the output video. And others couldn’t work well. After spending so much time doing it, now I am disappointed and exhausted. Could you please offer me any good suggestions? Thanks a lot! Hey, just take it easy. I am very interested in video editing and have done many researches on it. According to my own experiences, there are a few free tools that enable you to crop video free and without adding watermark. Video Grabber is a very popular and easy-to-use free online service. It has the ability to grab video from hundreds of video sharing sites including YouTube, Tubechop, Dailymotion, etc and save the video as MP4, WMV, WEBM, 3GP, FLV and MP3. It supports converting videos in MP4, AVI, 3GP, FLV, WEBM, MKV, etc to any other commonly-used video or audio format. By using its screen recording function, you can record games, movies, tutorials, audios, webinars and anything displaying on your computer screen. Moreover, it comes with lots of video editing functions such as flipping, resizing, trimming video and adjusting speed, adding watermark, and so on. As for how to use this free online video cropper to crop your video, please follow the steps below. Go to access Video Grabber via browser on your PC. After running the launcher successfully, the pop-up window for loading your file will open automatically. Now select your file for cropping. Click “Edit” icon and input figures to the fields of location and size next to “Crop” option. Click “OK” and “Convert” button. Free Crop Video supports many kinds of file types including AVI, MPG, MP4, MTS, M2TS, VOB, M4V, WMV, MKV, and so on. This free video cropping tool is very easy to use and has a simple user interface. You can use it to crop the letterbox off your video. You can also preview the cropped video before saving it. It can only let you output video in two formats: WMV and MP4. Go to visit easymakevideo.com and find free software – Free Crop Video from Products drop-down menu. Download it and finish installing it. Launch it and click the big red “Add” button to add your file. Select your file and click “Crop” button. You are allowed to choose the display proportion as 100%, 80% or 50%. Check “Enable” and type the width and height into the boxes. You may also adjust the size by dragging the borders. Click “OK” when you are done and tap “Render” at last. Avidemux is a very powerful video editing tool which can be used to finish video cutting, encoding and filtering tasks. 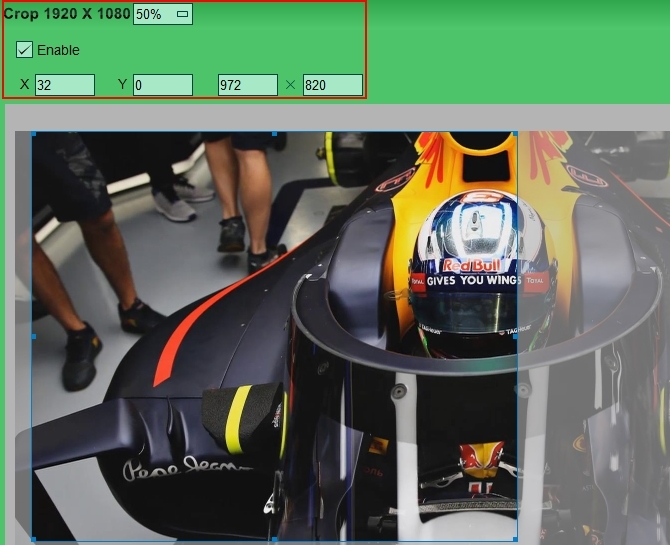 It provides you many useful functions such as trimming, rotating, flipping, adjusting colors, adding subtitle, changing FPS and so on. Although it has the ability to help you make professional looking video, you might find it a little hard to get started. So you may spend some time in knowing about this tool before you make the edits. After you have done the editing well, you can choose to save the video in AVI, FLV, MP4, MKV, MPEG, and WEBM. It is more than a basic free movie cropper. Try to hunt it on Google and then download, install it. Run it and click “Open Video” button to load your video. Choose the Video Output as Mpeg4 ASP (xvid4). Click “Filters” button and double click “Crop”. Type the figures into Left, Right, Top and Bottom boxes. The cropped borders will be displayed in green. Click “OK” and “Preview” to preview it. If you want to lock aspect ratio while cropping, choose “swsResize”. 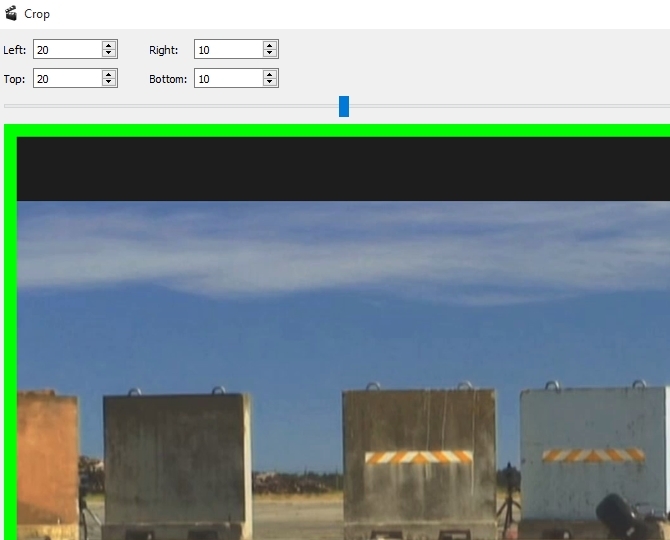 Check “Lock aspect ratio” and choose the destination as 1:1, 4:3 or 16:9. Once you adjust the width, the height will be adjusted automatically. Choose the output format and click “Save Video” to save it. 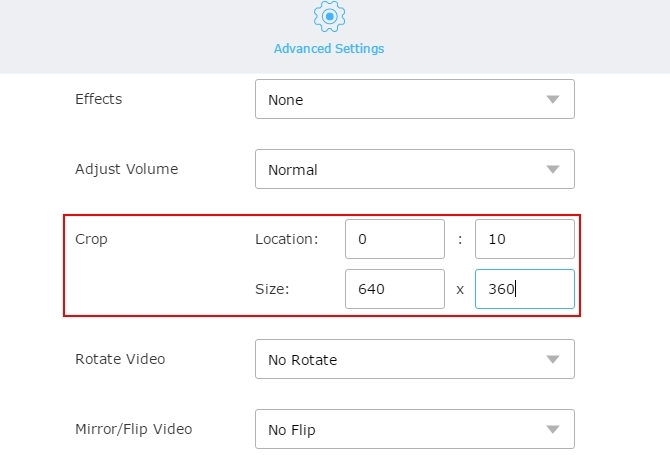 When you need to crop video, you may select any free video cropper from the 3 options above. They are 100% safe, clean and won’t add any watermark or logo onto your output video. You can use Video Grabber to do video editing, converting or other jobs very effortlessly. Free Crop Video is just a basic tool with cropping function. Avidemux is an advanced tool but it is not handy to use for rookie users. So get the most desirable one based on your needs!